This stainless steel basin tap is finished in a brushed satin finish, with the tap handles available in 8 colour finishes. Designed in Italy in the latest contemporary styling, these stainless steel taps are exclusive and makes a lovely design feature within high quality bathrooms. 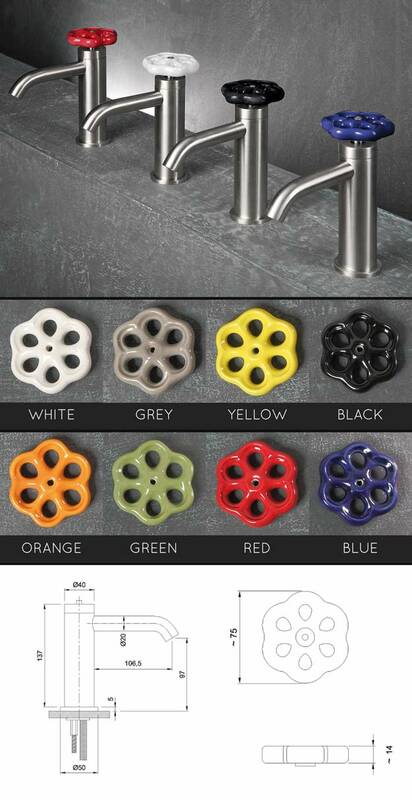 "Supplied to special order please allow 4 weeks"
* Latest contemporary tap design. * 316 brushed stainless steel. * 8 colour handle finishes.